Studies have shown that proprioceptive inputs during active and passive arm movements are processed in the primary and secondary somatosensory cortex and supplementary motor area of the brain. At which level of the central nervous system proprioceptive signals coming from the knee are regulated remains to be elucidated. In order to investigate whether there is a detectable difference in brain activity when various proprioceptive inputs are exerted at the knee, functional magnetic resonance imaging (fMRI) was used. 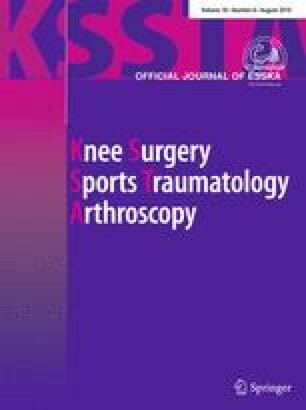 fMRI in 13 healthy, right leg-dominant female volunteers compared brain activation during flexion–extension movements of the right knee under three different conditions: with application of a tight knee brace, with application of a moderate tight knee sleeve, and without application of a brace or sleeve. Brain activation was detected in the primary sensorimotor cortex (left and right paracentral lobule) and in the left superior parietal lobule of the brain. There was a significantly higher level of brain activation with the application of the brace and sleeve, respectively, compared to the condition without a brace or sleeve. A significantly higher cortical activation was also seen when comparing the braced condition with the condition when a sleeve was applied. The results suggest that peripheral proprioceptive input to the knee joint by means of a brace or sleeve seems to influence brain activity during knee movement. The results of this study also show that the intensity of brain activation during knee movement can be influenced by the intensity of proprioceptive stimulation at the joint. This study was funded by a Special Research Fund of the Ghent University.